Since starting my teaching career, I have - so far - worked only in schools with Google Apps. 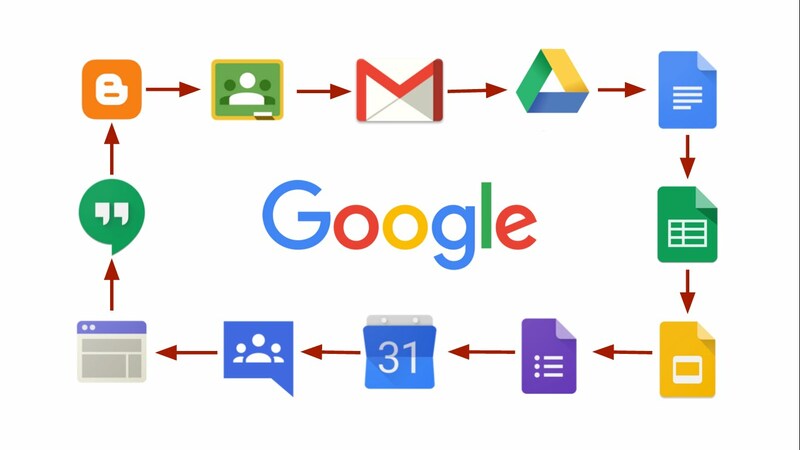 As I move to a new school which has a different cloud-based system, I wanted to pull together some things which I have found useful about the Google Suite. I am sure I'll find, as I settle, that many of these things are possible with other cloud-based software as well. Google Apps for Education is free and, after some set up, is fairly easy to manage. I have always had a set of Chromebooks available. As Chromebooks are powered by Google, the Suite links flawlessly and logging in for pupils works a treat. Introduce pupils to the idea of showing their work to a friend using the Share option just once and they'll want to do this each time you use the Google Suite for work. Pupils can control how much access their friends have using the "View only" or "Comment only" features. It's important to show them the differences between "Suggesting" and "Editing" a document as this can cause confusions when pupils start to share documents with each other. Google Classroom forms a huge part of e-safety lessons. We generally have two classrooms for each primary pupil: their class name which is for work and a "chat" classroom which is for their year group. In the classroom for work, only teachers can post but pupils can comment. In the "chat" classroom, pupils can post. This prompts discussions about what is and isn't useful. We come back to only posting if something is necessary, kind or true. In KS2, this is an ideal replacement for show and tell - rather than bringing in a trophy, pupils post a picture of it with an explanation on Google Classroom. Teachers monitor the comments and posts and we regularly discuss these with pupils. Google Classroom makes it really easy for pupils and teachers to store and access digital work. All "assignments" are saved in a folder in Google Drive called "Classroom". One thing worth knowing is that, once pupils have handed an assignment in, they no longer have editing rights - it is passed to the teacher. For this reason, I encourage pupils not to hand work in but to complete it and leave it so we can both continue editing later on. 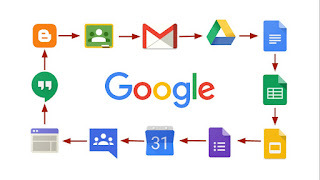 As well as regular use allowing practice of touch typing - an essential skill if you ask me - the Google Suite is organised in a similar way to Microsoft Office. This means that pupils are practising the skills required to be successful in creating digital documents of different formats. Ultimately, this means they can be flexible as they leave school and are ready to use different software. The Google Forms app is great for collecting information and setting quizzes for the class. Results can be views in a summary, which includes pie charts and bar graphs, or in a Google Sheets document. I've used Google Forms to gather information from my pupils but I've also used it as an easy way of parents signing up for something - for example, requesting tickets to a show or booking a place on a workshop at school. Google Classroom allows teachers to collect a huge amount of information from pupils almost immediately. Children can comment on a post and read and reply to each others' comments. They love doing this but it is so useful as a teacher. Rather than hearing from a handful of pupils, you can gauge the ideas of the whole class. This is particularly useful for open questions or opinions. Having a template Google Sheets document with the names of the class down one side makes it very easy to gather data quickly. Children simply fill in the row which has their name on. We've had 35 people editing the same document giving ideas and opinions. They can all see each other's edits so it's important to consider when this is useful and appropriate. Pupils (and teachers) can work collaboratively on documents at home and at school. I've found that this works best in pairs and is particularly useful in non-core subjects, when you want pupils to pool their thoughts and ideas with a finished outcome. For example, in our Wisdom topic in R.E. last term, pupils collected quotations useful for life from their families and various sacred texts into Google Slides. Doing this in pairs meant they could discuss the quotations and consider how to explain their meaning. Providing pupils' work is shared with the teacher (this is automatic when it's set as an assignment in Google Classroom), the Google Suite is a great tool for assessment and feedback. Teachers can use the "preview" option in a folder to quickly flick through the work of the whole class. They can then provide feedback in the next lesson before pupils continue. Alternatively, teachers can option the document and leave comments. I use both options depending on the task, my expectations and how much time I have. In my experience, children love getting comments on their work and are quick to edit and resolve any changes that are required. Once a comment is "resolved" it is then archived but is available to view if anyone wants to see the trail of feedback for a document. Google's blogging platform, Blogger, is one I use a lot as it's so easy to publish posts and to create a collaborative blog. Work can be embedded from Google Drive into a blog post with a basic understanding of HTML. I learned this by searching "how to embed Google Slides in Blogger". When pupils have a public audience for their work, it gives it purpose. Blogging is the perfect means by which to do provide an audience and the great thing is, because it's a website, that audience is global. Parents and governors can leave comments to further motivate pupils. My favourite blogging moment was when a child's father, who was in Afghanistan with the army, commented on his son's work to congratulate him. Pure joy! I'd be really interested to hear what you've done with Google or any other cloud-based system. Please leave a comment if you've got anything to add.